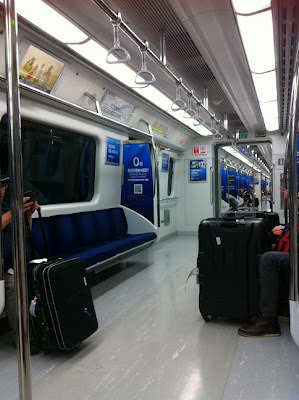 Budget Travel Guide South Korea: How to take AREX to Seoul? It's pretty easy, cheap and very convenient if you don't have big luggage. Myself..tried and tested with 33kgs luggage. Consequence: painful shoulder, exhausted self and deep sleep all the way to Seoul hence missed my intended stop. I took the AREX (Airport Express) from Incheon Airport to Hongik University Station and then transit to line 2 for Sinchon Station (where Sogang and Yonsei University is located). 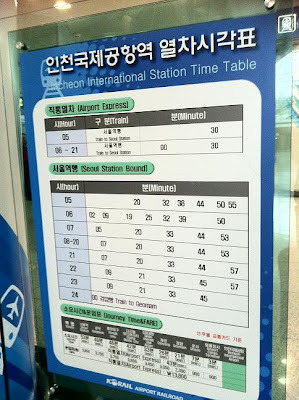 (Don't be confused with Sincheon station). There's elevator to some parts of the station, but after transferring to subway Line 2, Sinchon station; there's no elevator to go up to either exit 3 or 4. 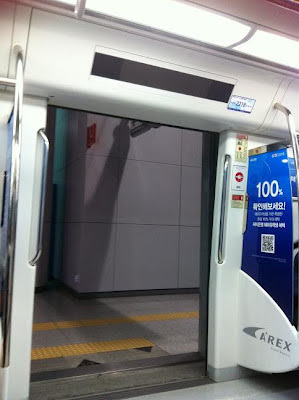 How to go to AREX station from Incheon Airport? You can either walk straight out after departure gate and walk pass the airport limousine bus stop. After that walk pass the taxi or car waiting area and then take the escalator to go down towards Airport Railroad level. Right after departure, take the escalator down (which is next to HANA bank/tour counter). 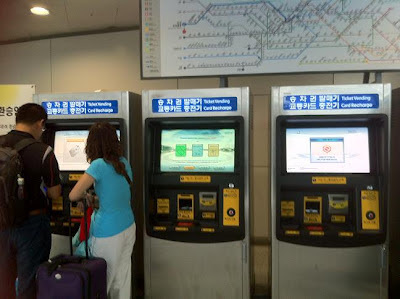 Then, follow the signboards "Airport Railroad", after which you will see an arrays of ticketing machines like the one below. If you already have a T-Money card, just use yours. Otherwise, buy a single journey ticket to your destination. 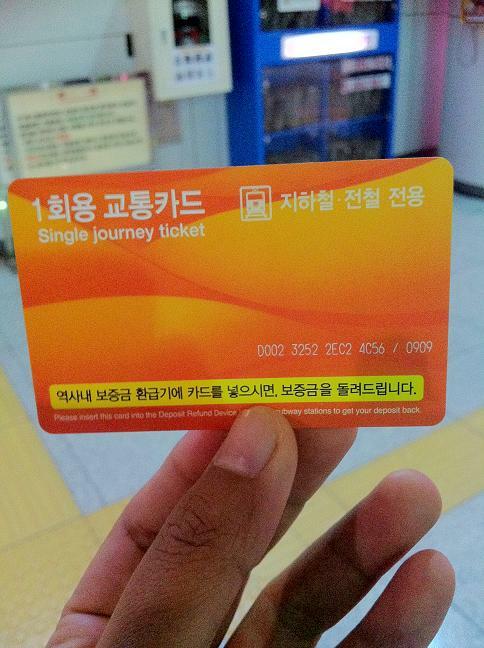 Like myself I bought a single journey ticket with 500 won deposit. Total - 4,350 won. Once I reached Sinchon station, just refund the deposit at the refund machine. From Incheon Airport AREX station, tap once and at Hongik University AREX station tap again to exit. Use the same ticket to enter Hongik University Subway/Metro station and tap again when I exited Sinchon subway station. My only wish: For ERL KLIA transit to be as cheap as AREX. ~~ Malaysia boleh! !